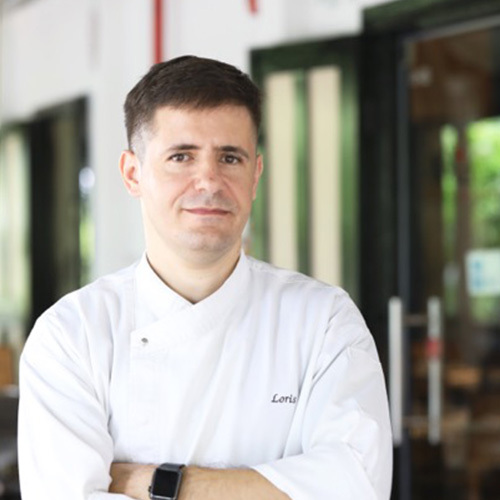 Loris is a passionate and talented culinary expert specialising in Italian cuisine. His love for Asia inspired him to share the wonderful traditions of hearty Tuscan fare with the people in this part of the world. With over 20 years of culinary experience under his belt, Loris continues to develop bespoke menus using the best & freshest ingredients possible, and prepare exquisite, heart-warming Tuscan dishes influenced by the traditional recipes in his beloved home of Pietrasanta.